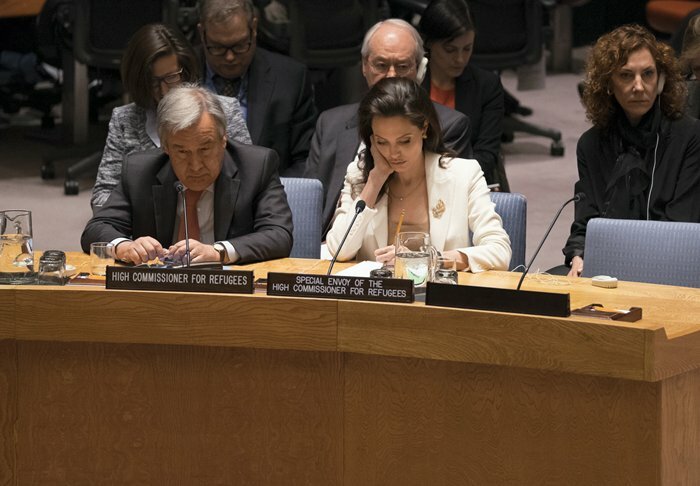 United Nations, New York, USA, April 24 2015 – Angelina Jolie Pitt (right), Special Envoy of the United Nations High Commissioner for Refugees (UNHCR), addresses the Security Council meeting on the continuing conflict in Syria and the attendant humanitarian and refugee crises. At her side is the High Commissioner, Antonio Guterres. 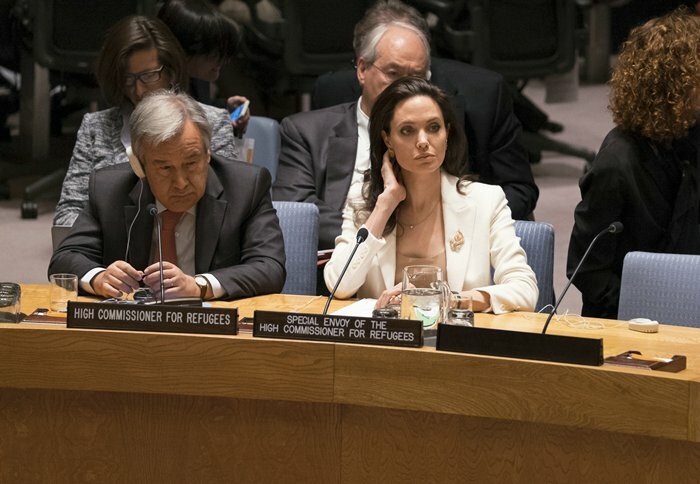 Actor Angelina Jolie, a UN Refugee Agency (UNHCR) Special Envoy, said the United Nations is failing to end the conflict in Syria. 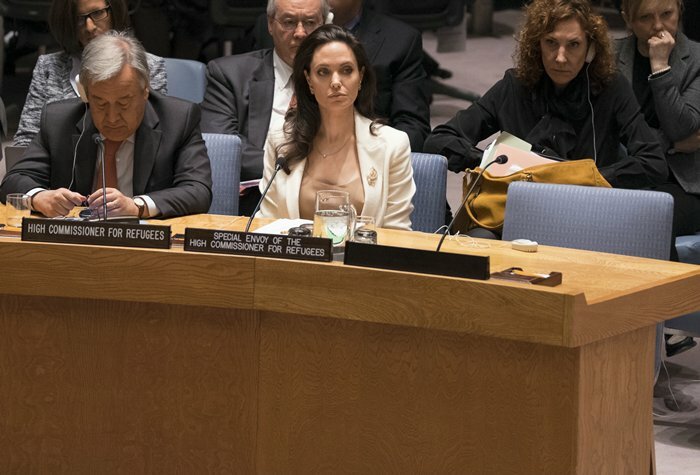 Speaking at a Security Council meeting on the Humanitarian situation in Syria, Jolie said the Security Council has the power to address the conflict in Syria, “but those powers lie unused” because of the lack of political will.